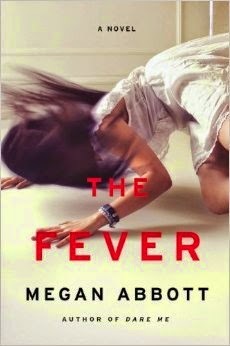 A chilling story about guilt, family secrets and the lethal power of desire,The Fever affirms Megan Abbot's reputation as "one of the most exciting and original voices of her generation" (Laura Lippman). I'm quickly becoming a fan of Abbott and her particular brand of twisted/dark suspense that also has a measure of "ripped from the headlines" story-telling (click here to see a real life story closely resembling the one in this book). I love that she's not afraid to write characters that aren't likable, especially girl characters who aren't likable. I liked the way she examined several facets of the "issue" (girls experiencing outbreaks of seizures, facial tics, etc), including the reaction of the adults in the town. 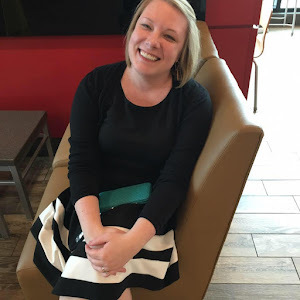 I think she was spot on in the political issues it brought up regarding the HPV vaccine and the local environment/potential environmental toxins. My one critique would be that I found the ending to be a little bit hard to swallow - and honestly, I would have been fine with something more open-ended. Yes, yes, yes! I loved every moment of this one, including the somewhat unbelievable ending. While I'm not sure how I'd evaluate the ending in terms of literary merit, in terms of being entertaining and shocking me, I loved it. I'm ready for the Lifetime Original Movie based on this book to be released as soon as humanly possible. It was fabulous all around. If you liked Dare Me, I think you'll also like this one. It's great for fans of dark and somewhat twisted domestic drama and for those who enjoy the mean/crazy girls trope as much as I do. I highly recommend giving this one a try.